Originally conceived as an annual event, the CSPA Convergence gathers industry leaders, educators, students and the general public to share ideas and evaluate existing models and infrastructure. Our current intention is to ‘converge’ upon existing festivals and events (Edinburgh Fringe Festival, Hollywood Fringe Festival, Prague Quadrennial) in order to respond to current systems, in addition to coordinating special gatherings focused on celebrating the current innovations in sustainable arts. The first convergence was held in partnership with The Ecodrama Playwrights Festival and Symposium and took place on the University of Oregon campus in Eugene, Oregon May 21 – 31, 2009. We organized a series of focused think tanks, panels and presentations within the context of the greater symposium. The Fringe Sustainable Production Award is designed to reward sustainable practice in the production of an Edinburgh Festival Fringe show. Productions are invited to engage their audiences with sustainability, take responsibility for their environmental impacts, and think big about how the arts can help to grow a sustainable world. The award was created in 2010 by the CSPA Directors, Ian Garrett and Miranda Wright, along with a number of CSPA affiliates. 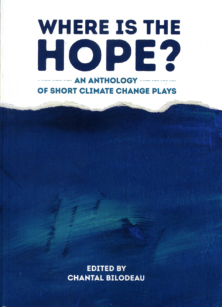 It looks at public communication and education, resource use and transportation in support of presenting a fringe show based on methodology developed by the CSPA itself and San Diego’s Mo’olelo Performing Arts Company, who has created a comprehensive Green Theater Choices Toolkit with a generous grant from the Theater Communications Group. To be considered for the award, a production fills out an online questionnaire. Questions range from an inventory of materials used to what public transportation lines run close to venues to how themes about sustainability are addressed in their shows. Because venues vary so greatly, various sections may not be included in a single evaluation to provide equal footing for the shows on a case by case basis. Shows are encouraged, but not required to provide a CSPA affiliate with tickets to their production to allow a trained eye to look at shows and projects as they exist in the real world. The CSPA Institute gives artists the tools, knowledge, and inspiration to incorporate sustainable practice into their own as part of their professional training at an established academic institution. Through the CSPA Institute we develop professional workshops and work with institutions of higher learning to build sustainable arts curriculum. The CSPA Quarterly is published seasonally, and features both established and rising artists, academic essays, opinion articles, event highlights, and spotlights on creative projects in theater, visual art, digital media, dance, film, and music. The CSPA publishes it’s research in dynamic and designed reports. 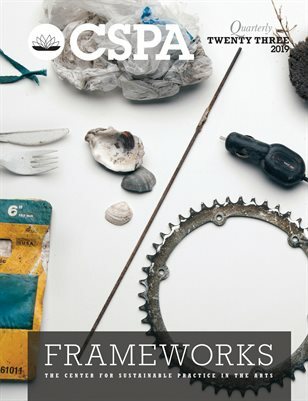 The CSPA works with an international group of partners to monitor developments in new measuring, certification and documentation tools in addition to developing industry specific methodologies for integrating sustainable practice into art making. 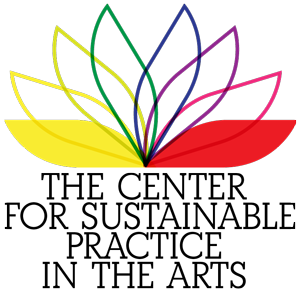 CSPA Supports is a series of micro-grants available to artists creating work that reflects sustainability (environmental, economic, or cultural). The first grant will be awarded early in 2011, with awards ranging between $200 and $2,000. To qualify, the artist must show a history of practicing as a professional artist, and must be a member of the CSPA.